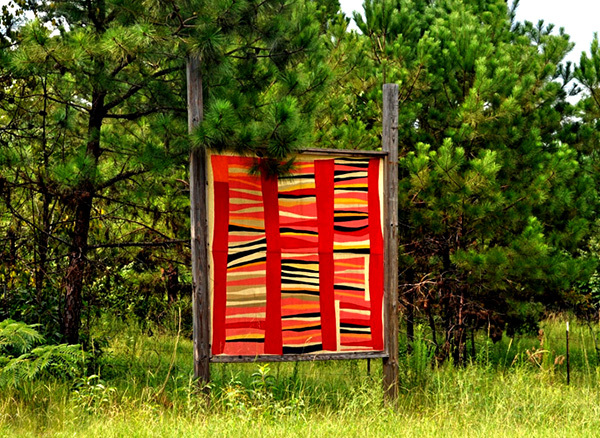 The Gee's Bend Quilt Mural Trail was created in 2007 to highlight the world-renowned quilts produced by the artisans of the Gee's Bend community in Wilcox County. The trail features ten large murals depicting some of the more notable quilt designs. This one is entitled Bars and String-Pieced Columns and was created by Jessie T. Pettway.